Lungile Mashigo, holding an Honours Degree in Corporate Communication from the University of Johannesburg, has been named as one of SA’s Top 20 under 30 millennials shaping the future by Fast Company Magazine for her work done around empowering citizens with education around investing. She joined the Purple Group team (parent company of EasyEquities) as Brand Manager of Emperor Asset Management in 2013. Lungile has brought to the team her experience as a consultant, developing strategic communication for leading South African brands. Since 2013, she has provided an understanding of current and potential clients, client lead generation and relationship management, and has developed and managed marketing campaigns. 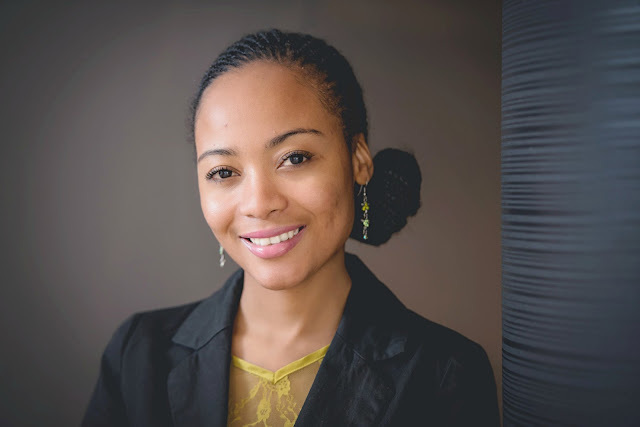 Her work is a reflection of her passion to dispel the idea that investing in South Africa is for a privileged few and developing an investment language that anyone can relate to. In this interview, she talks to us about her money habits. The recent economic climate came at a time where I was going through a lifestyle change as well, this has made me even more vigilant with my spending. The recent downgrade has made me very conscious of my spending habits – with a home loan, I am worried that when the interest rates increase – my repayment will be impacted as well as potentially the value of my property. I have become much stricter in the last few months when it comes to considering how much I spend on “nice to have’s”. Everyone knows that fashion is my other passion, I am actually impressed that I have not bought any clothes, accessories etc. (except for wedding-related things – haha) this whole year. I find that delaying an expense often results in me forgetting that I wanted the item in the first place or me completely losing interest. Out of all your responsibilities (bills, groceries, etc. ), what do you find to be the most expensive nowadays? Groceries – I have seen quite a dramatic increase in the cost of groceries even in the basic food items. I grew up in a middle-class home – we didn’t struggle financially – not because money was available in abundance but because my mom is THE budgeting and planning queen. She (with my dad) was able to make the household income stretch to achieve quite a lot – building our house, our school fees, upkeep and even have enough money to go on a family vacation each year. So the number one lesson that I learnt from my childhood is to save, save, save! Being debt free and being free to make purchasing decisions without worrying about how they will affect you financially. I am prepared – but I would like to be even more prepared. One can never be too prepared for an emergency situation. I have never been broke – I have been in uncomfortable financial situations where I had a little bit more month at the end of my money, but because of how my budget is set up – all the necessities were catered for – I didn’t have to struggle so much. FOMO (the Fear of Missing Out) – Social media paints an overly perfect picture of people’s lives and makes everyone’s life look like a constant ball of fun. People don’t necessarily post pictures when they miss out on events or the price they are paying for their extravagant lifestyles – anyone can “afford” nice vacations and expensive clothes if they have enough credit cards. Social media definitely adds some pressure on how people spend their money – even money they don’t have. In theory, renting and investing the difference in shares is better than buying a home in the medium to long term. I have recently made a choice to buy property because I prefer to own the property that I live in. I will keep investing any additional income into the property until it is fully paid – thereafter, I will invest more in shares. Not having to work to make a living and not relying on anyone financially during my retirement years. So, more shopping without looking at the price tag, more time with my loved ones and definitely more travelling! Not starting early enough with my investing – yes that sounds like something that Warren Buffet also said but I spent the first few years of my working life with little to no financial responsibilities and I did the saving thing really well. When I got into the financial services world, I realised the opportunity cost of me just saving my money in the bank with about a 4% to 5% return annually versus being invested in a pure equity strategy. Big lesson here is the difference between saving and investing. Yes, I follow quite a broad budgeting regime in that I don’t necessarily count every penny however my income is clearly categorised between investing, monthly recurring expenses, saving and spending – because a girl has to get a pair of awesome shoes once in a while. The good old spreadsheet – I have used money management apps before and that didn’t last longer than 20 seconds. I try not to – if a family member is in a serious bind (not the serial borrowers) if I can afford it – I give them the money. It will be up to them whether they pay me back or not. That way, I am not putting myself in a situation where I am anxiously waiting to be reimbursed. If they do pay me back – then I have a little extra to put in my investments. Focus on the bigger picture and get out of the “have to have” frenzy: I think the most important thing to do to avoid being in this frenzy is to make sure that you invest before you spend. This means, paying yourself first rather than saving and investing what is left over at the end of the month. My one and only tip is to automate your savings so that they are just like another bill that you must pay every month. After you pay your bills and pay yourself first, you can spend the remaining amount of money on whatever you want, guilt-free. This approach sets the foundation for your financial success in the long term.